Summerfest 2014 will feature Zac Brown on July 3, at the Marcus Amphitheater. This is the second headline act scheduled for the "Worlds Largest Music Festival," and there are eight more headliners to be announced. Zac Brown Band tickets are already available through our website. Zac Brown started playing shows back in 2002, and acquired a large local following in short order. Playing hundreds of shows per year will do that for a band. Brown traveled tirelessly around Georgia and nearby states, supporting his independent release in 2004. Fast forward to 2008, and Zac Brown was signed to a major record label. 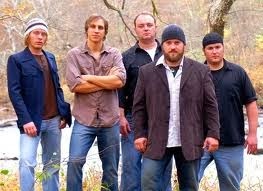 The Zac Brown band has ten "Number One" hits, and they have sold millions of copies of all four albums produced so far. In 2013, Brown's band won a Grammy for Best Country Album. That album was titled "Uncaged." Later in that same year, it was revealed that Dave Grohl had produced their latest EP. Zac Brown will also play in Green Bay on February 6, at the Resch Center.